Just in case you thought there was nothing going on in Africa! The following map and photos depict current and future locations used by the U.S. military for launching drones and surveillance flights throughout Central and North Africa. The map is not complete and reflects available information from open sources. Similar to drone bases in Pakistan, a Washington Post article from 2012 quotes a senior U.S. commander as saying that most of the African air bases launching drones and surveillance flights are “small operations run out of secluded hangars at African military bases or civilian airports.” Several sites that are rumored to be used for launching drones and surveillance aircraft are not included in the map, including al-Wigh airbase in Libya which has been recently reported by news outlets in North Africa to be a base for French and U.S. operations in Mali. 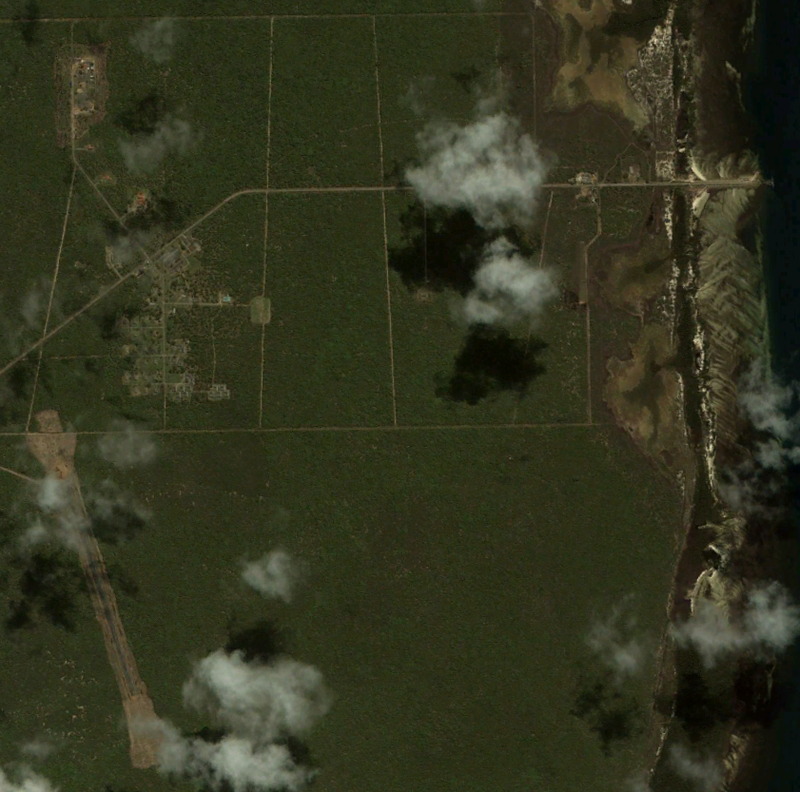 All images are via Google Earth. Camp Lemonnier, a U.S. Naval Expeditionary Base located at the Djibouti-Ambouli International Airport, has functioned for several years as a “core of secret operations” in Africa and the Middle East. Since at least 2009, the site has hosted armed drones flights targeting Somalia and Yemen. 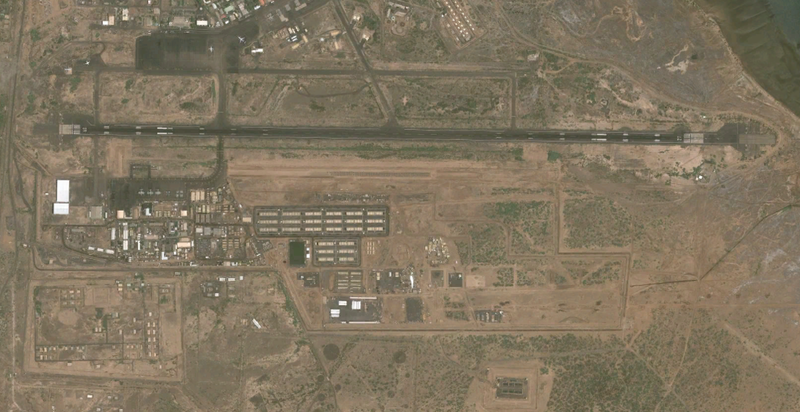 A 2012 Washington Post article states that unmanned aircraft take off “about 16 times a day” from Camp Lemonnier. According to the Post, the site is closely linked with Joint Special Operations Command (JSOC), hosting at least 300 special operations personnel who “plan raids and coordinate drone flights from inside a high-security compound at Lemonnier that is dotted with satellite dishes and ringed by concertina wire . . . concealing their names even from conventional troops on the base.” At least five Predator drones have crashed near Camp Lemonnier since January 2011 and a Special Operations Command U-28 surveillance plane crashed in February 2012 killing four Air Force Special Operations personnel. Photo dated August 26, 2012. Notice the construction of an adjacent taxi-way and support facilities. Photo dated April 17, 2009. 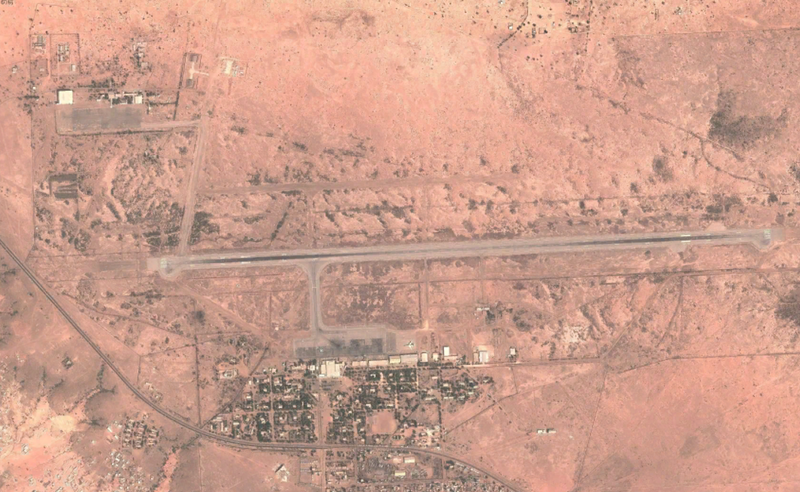 The U.S. Air Force verified in October 2011 that the Arba Minch Airport in Ethiopia hosts armed flights of MQ-9 Reapers over Somalia. According to the Washington Post, the U.S. Air Force invested millions of dollars to upgrade the airport “where it has built a small annex to house a fleet of drones that can be equipped with Hellfire missiles and satellite-guided bombs.” The drones are reportedly used in operations against Al-Shabaab. Photo dated February 9, 2004. 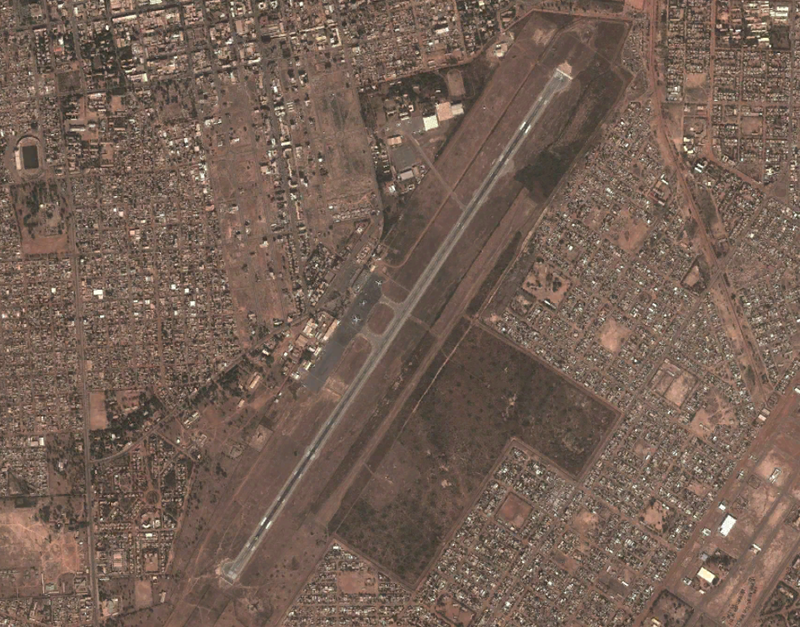 Described as a “key hub of the U.S. spying network” in Africa, Ouagadougou Airport is the home of a classified surveillance program code-named Sand Creek that includes “dozens of U.S. personnel and contractors” operating a “small air base on the military side of the international airport.” From the airport, unarmed PC-12 airplanes fly surveillance mission in Mali, Mauritania and the Sahara. Photo dated December 5, 2012. Diori Hamani International Airport in Niamey, Niger has hosted PC-12 surveillance flights since 2012. On February 22, 2013 President Obama sent a letter to Congress that approximately 100 troops would be sent to Niger to support “intelligence collection” and “facilitate intelligence sharing with French forces conducting operations in Mali, and with other partners in the region.” The same day the AP published a story quoting two senior defense officials as saying that the troops, mostly U.S. Air Force logistics specialists, will be setting up a drone base in the capital of Niamey. The drones will reportedly be unarmed and used for surveillance. The location also currently hosts French activities in relation to Mali. Photo dated December 13, 2012. In March 2012 U.S. Army General Carter F. Ham, the head of U.S. Africa Command, testified before the Senate Armed Services Committee about the need for spreading intelligence, surveillance and reconnaissance (ISR) efforts in “assist the Democratic Republic of Congo, Uganda, Central African Republic and the Republic of South Sudan to defeat the Lord’s Resistance Army in Central Africa.” According to the Washington Post, the airfield at Nzara is one of the locations intended as a future base for surveillance flights. An article from April 2012 in the Post states that Nzara is a basing location for part of a contingent of U.S. troops searching for Ugandan warlord Joseph Kony. Other locations where small camps of troops are located include Dungu, Congo and Obo and Djema in the Central African Republic. Nzara airfield looking West. Photo dated August 19, 2004. Since at least 2009, the U.S. military has been using defense contractors to run surveillance flights in unmarked PC-12 aircraft from out of Uganda. The flights are part of a secret project codenamed Tusker Sand that searches for Ugandan warlord Joseph Kony, processing imagery from over the airspace of Uganda, Congo, South Sudan and the Central African Republic. In August 2011, the U.S. government provided small unarmed drones to Uganda and Burundi. 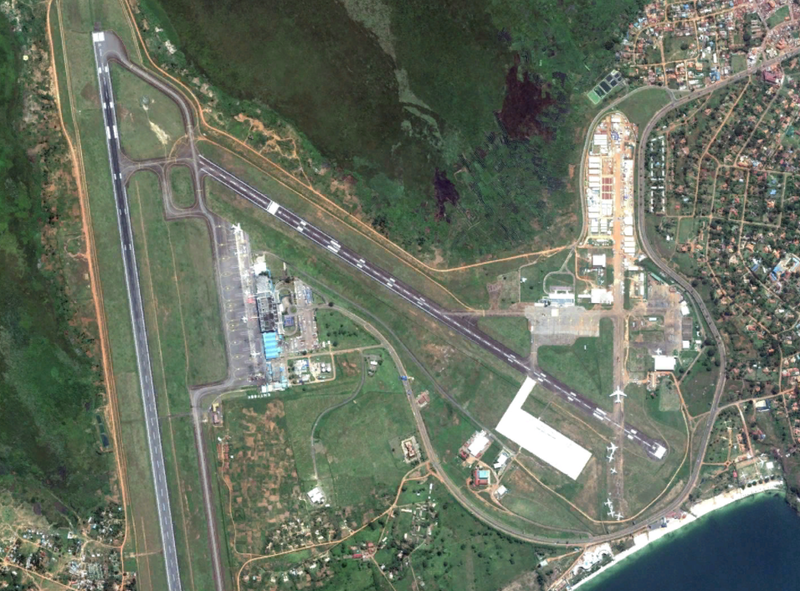 The Ugandan military operates an airbase adjacent to the Entebbe International Airport that is reportedly used by the U.N. and foreign military forces. Photo dated July 2, 2011. The Kenyan military has publicly denied that it hosts U.S. drones or surveillance flights. Camp Simba. Photo dated April 16, 2006. Photo of the airfield looking West. Photo dated April 16, 2006. 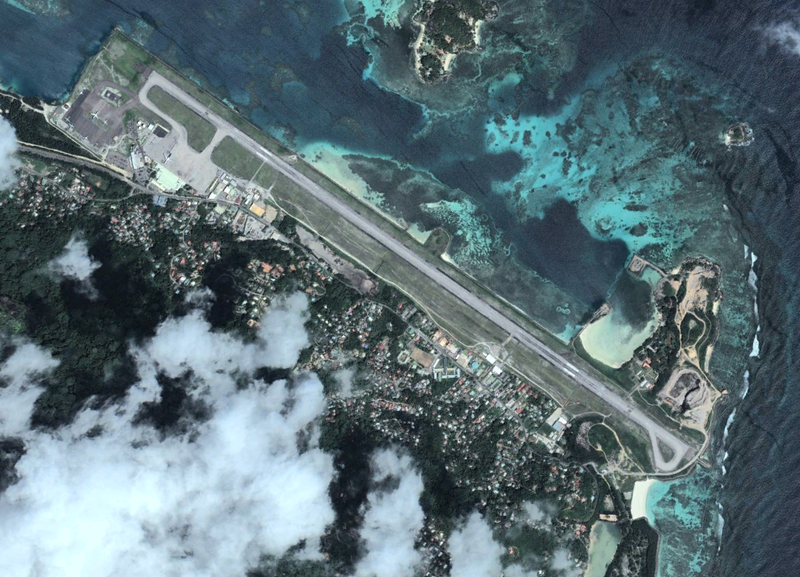 Located on the island of Mahé, Seychelles the Seychelles International Airport has hosted U.S. drones since at least 2009. 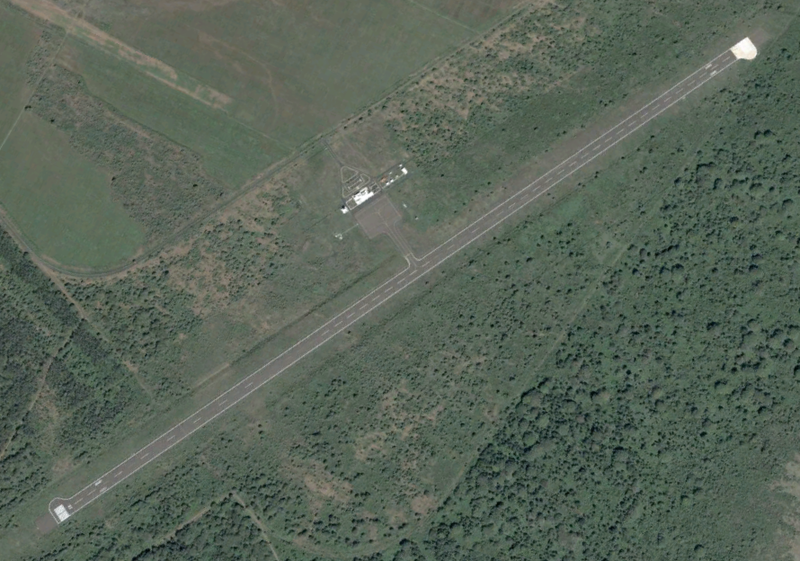 Since December 2011, two MQ-9 Reapers have crashed at the airport. Photo dated December 1, 2012.